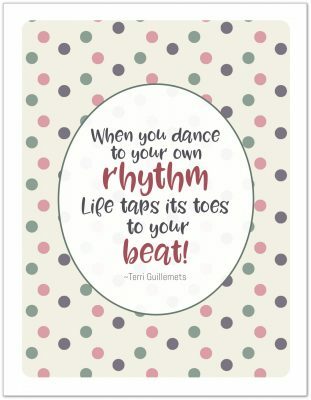 Welcome to Day 8 of the 31 Days 31 Printables series. Working on the Thanksgiving Printables has put me in the holiday spirit. 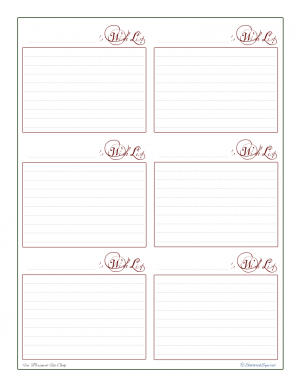 So for the next few days I’m going to be tackling some of the holiday planner printables. Actually, I think it is safe to say that I’ll be updating ALL the holiday planner printables this month. I really like the layout of the originals. All the info I need is kept neatly in one place. The fonts and the colours, well those were a different story. I’m not really sure what I was thinking when I made the originals, but it certainly wasn’t readability. The colours were a little on the dark side too, and I just feel like it is time to spruce them up a bit. I tried to choose easy to read fonts that still have a hint of winter holiday spirit, and being a traditionalist, I opted to stay with the red and green colour scheme so I just lightened and freshened it all up. 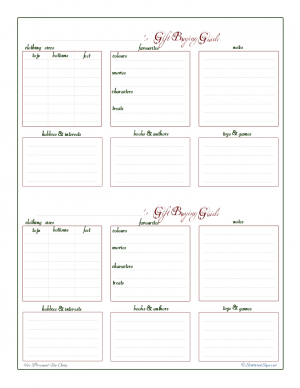 The guide printable is probably my favourite of all the holiday planner printables. I update it each year with the boys’ sizes and interests and it really helps make choosing the right gifts easier. I like being able to work with a wish list, and take into consideration what sort of things my loved one would enjoy. Together, these two printables are a powerhouse combo when it comes time to start really thinking about Christmas. When I received the following request, I couldn’t help but jump on board. I love these, but I’m wondering; are there versions of these in half sized form? I know it’s a pain to make, but my binder is half sized for easier portability. These two printables were screaming to be paired up in a half-size version. 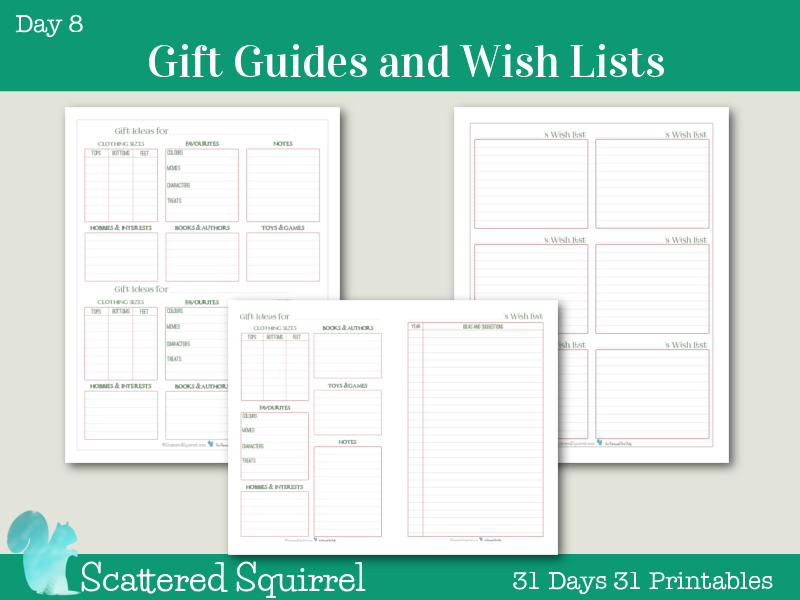 I made a few changes and tweaks to the lay out so that you can have the gift ideas on one page and a copy of the person’s wish list on the other. I don’t know about in your world, but over the last few years I’ve noticed that many things stay the same under the likes and interests of my nearest and dearest, but that doesn’t always mean that their wish lists are the same each year. 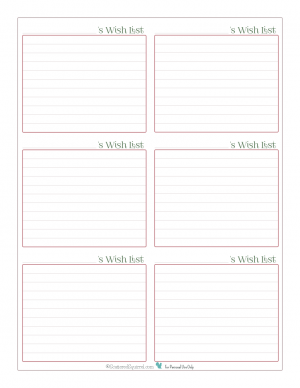 So I opted to make the wish list a perpetual one, that can be updated each year until you run out of space. What do you think? I think I’m going to go print some of the half-size ones out right now. I can’t wait to toss them into my planner so I have them when I’m out and about. When it comes to holiday shopping do you work from a list? If not, what do you do instead? THANKS! Your HALF-SIZE PLANNER has made my day! I’m so happy to hear that Christa. Finding the right planner/calendar system can be really tough, not to mention expensive. 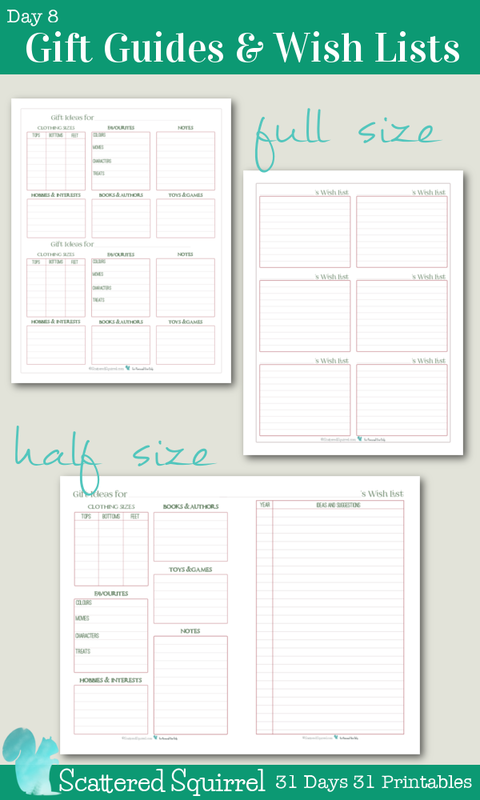 I’m thrilled that some of the printables here will be a help to you when you’re setting up your planner.